The other day I decided to look into the Filioque - the part of the Nicene Creed that says the Holy Spirit proceeds from the Father "and the Son" - and as I was casually looking at how the Greek term "proceeds" is used in the New Testament, I came across a fascinating verse in Revelation 22:1. It turns out other people have noticed this as well, but to my amazement I couldn't find any Catholic apologetics articles spreading the news. One blogger who is Eastern Orthodox and strongly advocates reuniting with Rome based on many good arguments actually made some brilliant observations about Revelation 22:1, which I think deserve more recognition and thus will reproduce here along with my other findings. As I continue to look into this verse, I believe this verse has the potential to move mountains in terms of steps to bringing the Eastern Orthodox back into communion with the Catholic Church. I say this because I've become convinced this verse is solid Scriptural proof that the Filioque is true. The Scriptural argument used by most Eastern Orthodox, in a nutshell, is that the distinctive "Personal property" of the Holy Spirit is that He proceeds from the Father, while the Son is begotten from the Father (while the Father neither proceeds nor is begotten). The EO claim is that "proceeds" is a 'technical' theological term that cannot be used loosely, though it's precise definition is a theological mystery of Faith (just as the term "begotten" is). And the fact John 15:26 only says the Holy Spirit proceeds from the Father is taken by the Eastern Orthodox to mean the Holy Spirit proceeds from the Father alone. Catholic apologist Tim Staples notes (in This Article) that the Eastern Orthodox Scriptural argument is invalid for the same reason the Protestant argument for Justification by Faith Alone is invalid: just because Paul says we are "justified by faith," that does not necessitate that we are justified by faith alone. When I came to find out that "proceeds" is not really a 'technical' theological term in Scripture (unlike "begotten"), since it's used all around for 'coming forth' in general, that indicated to me that appealing exclusively to John 15:26 is even weaker. In fact, I came upon the only other reference to the Holy Spirit "proceeding" in Scripture, and this to me was significant. I know what you're thinking: Amazing! Is this for real? Yes, the allusion is too unique to miss! And it turns out the same Greek words for "river" and "waters" appear in both, while the Greek term "living" is derived from the Greek word for "life". This is even more reasonable given that tradition states Saint John also wrote the Book of Revelation! CCC1137: "the river of the water of life . . . flowing from the throne of God and of the Lamb," one of most beautiful symbols of the Holy Spirit. So there is yet again more reason to accept Revelation 22:1 as clearly saying the Holy Spirit proceeds from the Father and the Son. In conclusion, I'd like to address a few potential EO objections to this case I presented since I think it will best solidify the Revelation 22:1 argument. Objection 1: The term "proceeds" as used in Revelation 22:1 is in reference to the Holy Spirit being sent at Pentecost, not referring to the inner-life of the Trinity. This argument fails because it is purely ad-hoc, and worse yet, it destroys any principled basis for saying "proceeds" is a special theological term for the inner life of the Trinity in the first place (as per John 15:26). Objection 2: The "river of water of life" is not a symbolic reference to the Holy Spirit. The answer to this is similar to the response in Objection 1. In this case, the EO problem is actually worse because it means the term "proceeds" (at least when applied to God) is no longer logically connected to a Divine Person. In other words, if the "river of life" that "proceeds" in 22:1 means something like "energy proceeds" from God, this logically opens the door to saying the Holy Spirit is not a Person precisely because He "proceeds" just as the non-personal energy does. Objection 3: There is no record of any of the Early Church Fathers appealing to Revelation 22:1. I don't know if this is true or not. Maybe no Church Father appealed to or commented upon Revelation 22:1. Maybe they did. It would be cool if someone found a reference. One likely reason for the sparsity of Commentaries on Revelation is because of the books esoteric nature and the fact it was doubted in the East for a while. The point is though, Revelation is inspired Scripture, so it ultimately holds more weight that any Father, and there is no rule that a Father must comment upon a passage to make it worthy of examination. There does appear to be evidence that at the time of East-West unification attempts in the 13th century that this verse was discussed, meaning there were some aware of it. Objection 4: The text of Revelation 22:1 can be taken to mean the "river of water of life" originates from two sources, namely two thrones. I don't see any reasonable or exegetical grounds to say the "river" is formed by two distinct proceeding streams (sources). For one, the term "throne" is singular and mentioned only in reference to the Father. From what I see, whenever Revelation speaks of "the throne of God and the Lamb" it is never speaking of two thrones, but rather one throne with the Father seated and the Lamb standing in front of it. And even if the matter were a 'linguistic toss-up' - i.e. the wording could mean either (a) flowing from one throne through the other throne (one-source; orthodox), or (b) each of the two thrones contributing 50% (two-sources; unorthodox) - the two-source interpretation would lead to the same theological problems as Objections 1 & 2 with the use of the term "proceeds". 154. This is certainly the River proceeding from the throne of God, that is, the Holy Spirit, Whom he drinks who believes in Christ, as He Himself says: If any man thirst, let him come to Me and drink. He that believes in Me, as says the Scripture, out of his belly shall flow rivers of living water. But this spoke He of the Spirit. (John 7:37-38) Therefore the river is the Spirit. This sums up everything I've posted, and it goes all the way back to at least to the year 375, when Saint Ambrose was Bishop. On top of this, Saint Ambrose's prominence makes this not some obscure reference, and that he is revered also in the East. Thank you, Steven! Venerable Bede. (1878). The Explanation of the Apocalypse (E. Marshall, Trans.) (165). Oxford: James Parker and Co. So in fact his commentary, one of the earliest ones on the book of Revelation, is confirming evidence that the reference is to the Holy Spirit. I'm not exactly sure what Ven Bede is saying here. Is he saying the river here represents what results from Baptism? He seems to be alluding to Galatians 6:7-9 at the end. Looks like he's saying that the river is speaking of the fruit of baptism, which is the reception of the Holy Spirit, so it is referring to the Spirit. Nick, by the way I looked up this verse in my Ignatius Study Bible and they nail it by referencing the Trinitarian theology, the Spirit, and the procession. Cool! If it's not too long (i.e. under a paragraph), could you quote it? Here is the Ignatius Study Bible note on Revelation 22:1. Symbolic of the Spirit flowing through the main street of the city (21:6, Jn 7:38-39). *The imagery alludes to the river of Eden (Gen 2:10), the river that gladdens the city of God (Ps 46:4), and the fountain of living water springing from Jerusalem (Zech 14:8). For the primary allusion to Ezek 47:1-9, see note on Rev 21:9-22:5. *The water issuing from the Lord and the Lamb is an apocalyptic expression of a Trinitarian mystery: in eternity, the Spirit proceeds from the Father and the Son. See note on Jn 15:26. *A single stream issues from the throne of God, and that is the grace of the Holy Spirit in the stream of the Scriptures. That stream has two banks, the Old Testament and the New, and the tree planted on either side is Christ (St. Jerome, Tractate on the Psalms 1), “the throne”: According to 3:21, the Father and the Son share the same throne. This quote can be found in “Exegesis and Empire in the early Byzantine Mediterranean: Junillus Africanus and the Instituta Regularia Divinae Legis by Michael Mass and Heinrich Kihn. There’s a nice google preview of this quote available on page 59. The interesting thing about this quote is that the fathers of Constantinople II obviously saw the expanded creed of Constantinople as only being an explanation of Nicaea which has serious implications on the Eastern Orthodox objections of the addition of the filioque to the creed on canonical grounds. The Council was unaware that the Creed included an infallible 'expanded' edition in 2nd Council, since the 2nd Council was only marginally Ecumenical. Saint Cyril only has in mind the Nicene Council. So yes, this is a problem for the EO advocating that Catholics "tampered with" the Nicene Creed contrary to the 'clear prohibitions' of the Ecumenical Councils. The reason why I think the statement from Constantinople II is even more significant than that of Ephesus is because the argument can be made that Constantinople I wasn't considered ecumenically binding during the time of Ephesus. It wasn't until Chalcedon that it achieved this status. Since Constantinople II came after Chalcedon it seems significant to me that the fathers of Constantinople II regarded the additions as only an explanation and not as additions. That seems to go a long way towards undercutting any argument on canonical grounds. Even if it were argued that Constantinople1 didn't achieve a given status until Chalcedon, the wording of the canons of Ephesus still only apply to Nicaea. It would be an argument from silence to project more. But in terms of really making a point, you are right that if the 5th EC says that the 2nd EC was more about explanation, that is more significant than the 3rd EC saying that about the 2nd. This seems to be a more authoritative quote than the one you provided, though both are saying the same thing. I'd be interested to see what the Greek word for "explained" is here though. This supports the impression that Constantinople1 didn't canonically expand Nicaea, since Chalcedon's definition is found orthodoxy using the shorter Creed used at Nicaea and Ephesus. You should use Biblindex to search the Church Fathers for any references to Revelations 22:1,2. I did so but don't have most of the resources to have access to the texts cited. I have included your Ambrose quote in the main article. Hopefully there will be more quotes to come if people can track down the sources. I'll gradually be adding to my article if I find any good commentary on John 7:37-39, John 4:13-14, or Revelations 22:1-2. The Orthodox fail to see that unity of substance also means unity of source, so that the Son proceeds (is born) from the Infinite Father-Spirit and the Spirit proceeds from the Infinite Father-Son. Three infinite persons in Creation, and yet always One Infinity in Infinity, the light into which no one can enter. I Timothy 6:16. Christ sits with His Father in the one divine throne of His Father, and if we are faithful we shall sit with the Son in the one human throne of the Son. Revelation 3:21. The text of Revelation 22:1 proves the Filioque, simply put. If this verse would be interpreted as referring to the procession of the Holy Spirit, as it is by you, it would follow that the Holy Spirit proceeds from the Father and the Son as from two sources and two spirations, since it flows from both the throne of the Father and of the Lamb. This however your own councils of Lyons and Florence anathematised. Or you would say that the Lamb and the Father would be on one throne, which is dangerously close to Sabellianism, which likewise is condemned as a heresy. It only has to be interpreted in a heretical way if that's what you're pushing for, otherwise an orthodox reading is perfectly legitimate. You neglect to realize the origin can be from the throne flowing 'through' the Lamb. You may be interested in the following from Joseph Gill's book The Council of Florence. John [Cardinal Cesarini] and Mark [of Ephesus] continued to argue about the nature of conditional propositions, the Provincial having the last word - Basil was arguing a pari. In the earlier books of the Adversus Eunonium he had proved that though the Son was second in order to the Father, yet they were of one nature. Now he is repeating the same procedure exactly - the Spirit is third in order, yet he is of one nature with the others. He believes that and so states it without ambiguity. Therefore whether or not there are a thousand codices of your text in Constantinople, here there are three in all, two of which and the more ancient agree against you and harmonise with Basil's thought. But perhaps your fear of accepting our text arises from the fact that you think we are affirming, and making Basil agree with us, that there are two causes of the Holy Spirit. You need have no fear on this point. The Roman Church has never erred and does not err on this. There is only one cause of the Holy Spirit. The Father is the principle both of Son and Spirit, but the Son, identical in nature with the Father, receives also to be producer of the Spirit, in respect of the common nature he has with the Father, and so is with him the principle, numerically one, of the Procession of the Holy Spirit. There is then but one cause of the Spirit, not two. With this declaration the session closed. The Emperor visited the Patriarch next day, Wednesday, to discuss it with him and on Thursday summoned the Greeks to a meeting. I did not start the question of union, he said, but I inherited it from my father who, as you all know, was an acute philosopher and a competent theologian. He, with the support of the Patriarch Euthymius, set the negotiations going and he would have brought them to a conclusion had he not been impeded. So it fell to me to complete the project and with your approval the Patriarch and I embarked on it. Time is going by and we have achieved nothing worth while, and if that goes on what will be the fate of our race? a persecution worse than that of Diocletian and Maximian. So we must give up discussions and find some other means towards union. I will remind you of one thing. Fra Giovanni declared openly in the Council that the Latins confess one cause, the Father with the Son, of the Holy Spirit and anathematised those who assert two, and he has given me this, at my request, in writing. 1Th Greek relief is reflected by a phrase of Traversari’s in a letter of 18 March: ‘Yesterday great hope dawned of achieving union’ (Trav. No. 493). Andrew, a seventh century bishop of Caesarea, made the following comment on Revelation 22:1. The introduction in this volume gives a brief description of Andrew and his commentary. If this view of the wide and lasting acceptance given to Andrew’s Commentary on the Apocalypse is correct then I think this is strong evidence that the filioque was not seen in the East as being innovative, except perhaps during times of tension between East and West when the East saw fit to use it as a political weapon against the West. Perhaps this commentary may also shed light on St. Maximus the Confessor’s defense of the filioque. It would be interesting to know if any study has been conducted which would indicate if St. Maximus would have had any familiarity with this work. To be fair, Andrew said that another interpretation was possible. But I don’t think this alternate view actually negates Andrew’s support for the filioque because he not only believed his first view to be acceptable, but also seemed to give it primacy. I agree that him saying there is another interpretation is in no way negating the first option. What is huge here is that he was reading all this in Greek, so the "proceeds" is not something missed as it is in English. 22:1 The river of the water of life manifest the Giver of Life, the Holy Spirit (see 21:6, also Ezek 47:1-12; Zech 14:8). 'I saw,' he says,' a single throne set up, and I saw a single Lamb standing in the presence of the throne.' [Rev. 5:6] This refers to the Incarnation of the Savior. Scripture says: 'Behold the lamb of God, who takes away the sin of the world!’ [John 1:29] 'And there was a fountain of water coming forth from beneath the middle of the throne.' [Rev. 22:1] Notice that it is from the midst of the throne that there issues forth a river of graces. That river does not issue forth from the throne unless the Lamb is standing before it, [Rev. 7:17] for unless we believe in the Incarnation of Christ, we do not receive those graces. It's an amazing thing you noticed. You could be given a Nobel prize for your theological discovery if it means what you say it does (gentle humour), even more so since it wasn't at the forefront of the debate historically. I have NEVER heard of it before in Catholic-Orthodox ecumenical dialogue. However, I wonder if that very fact means we haven't overlooked something obvious. To me, this is strange grammatically and doesn't indicate that the Spirit proceeds from the Father and the Son. To say such a thing, it would read only "and the Lamb", not "and of the Lamb". So, could it be argued that John's vision is a vision of a spirit (The Spirit) which proceeds from the Father and is of the Son? I hope you will push this in other places if you think it could "move mountains". Your argument is strong enough, to me, to warrant further exploration. Full disclosure: I am an Orthodox Christian and theologically uneducated too. The article will not be accepted well by the Eastern Catholics especially the Byzantines, since EC share the same perspective with the Eastern Orthodox and not saying the filioque during the Creed. As a Byzantine Catholic I find the logic here..suspect. Not only does this go against Roman Catholic theology itself, which has evolved to understand that the filioque means from the Father THROUGH the Son, it flies in the face of the Cappodocian Fathers, whom you (and every single Christian who professes the Trinity) stand upon. Knock that over and you have nothing. Not to mention the fact, once again, that the filioque means Father through the Son, which the Eastern Orthodox and Catholics accept. You're bringing up something that not only not a problem anymore, but has been ruled very decisively against you. What SPECIFICALLY are you taking issue with in what *I* said? Nothing I have said goes against Catholic dogma. For one, there's that. The Father goes through the Son. The EO and EC state this via the Cappadocian Fathers. There isn't an argument. There is nothing to prove. There also is no need to say "to bring them back into union with Rome". Rome is just as much out of communion with the EO as the EO are out of communion with Rome. Way back at the Council of Florence everyone agreed that the patristic phrases "and the Son" and "through the Son" were used synonymously. That being said, what specifically did Nick write that you think contradicts the Vatican clarification and / or the Cappadocians? I'm just as confused as Nick is as to what you're referring to. Not to get off topic, but while it's true that Rome is just as much out of communion with the EO as the EO is out of communion with Rome, there is not an equivalence here because Rome is the principle of unity of the Church founded by Christ. 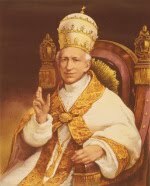 Consequently the fullness of the Church can only be found in communion with the bishop of Rome. This is a dogma for both RC's as well as EC's. Because ekporevomai designates hypostatic origin in Patristic Greek, you've opened up a whole can of worms that isn't supported by current RC dogma (JPII's Clarification on the Filioque is uncompromising that the hypostasis of the Spirit is derived from the Father alone) though it can be argued (and I believe convincingly) that Florence stated the Spirit's hypostasis is derived from both the Father and the Son. The other issue is the quote from Rev 22:1 simply states the river flowed from the *throne,* not from the Father or Lamb so I think the primary beneficiary of this verse is an argument like Tertullian's concerning the actual divine essence giving origin to the Spirit's hypostasis. Since the bible wasn't written in Byzantine Greek there's no can of worms that's been opened. As for the essence springing forth a person, that's a heresy which was fought against by the fathers. Thus it's not a legitimate option. "To proceed from", "to flow from"... In Holy Scripture or in the Fathers, the use of vocabulary is much more flexible than some modern theories want us to believe (for example the so-called clarification on the Filioque from the Pontifical Council for Promoting Christian Unity, well refuted by orthodox theologian Jean-Claude Larchet). As for that passage (Rev. 22:1), it doesn't refer to the Filioque but to the doctrine of the grace of the Spirit that flows from the Father and/through the Son (grace and not existence). "Scripture calls the grace of the Spirit sometimes “Fire,” sometimes “Water,” showing that these names are not descriptive of its essence, but of its operation (energy)" (st John Chrysostom, Hom. 32). The divine energies "spring FROM the Father, progress TROUGH the Son and are completed IN the Holy Spirit" ( St. Gregory of Nyssa, Letters, V and XXIV). But the Son, in His Hypostasis, proceeds from the Father ALONE. Nick seems to have already addressed your first remark concerning grace or energy. "The answer to this is similar to the response in Objection 1. In this case, the EO problem is actually worse because it means the term "proceeds" (at least when applied to God) is no longer logically connected to a Divine Person. In other words, if the "river of life" that "proceeds" in 22:1 means something like "energy proceeds" from God, this logically opens the door to saying the Holy Spirit is not a Person precisely because He "proceeds" just as the non-personal energy does." "But the Son, in His Hypostasis, proceeds from the Father ALONE." "It is as if a man were to see a separate flame burning on three torches (and we will suppose that the third flame is caused by that of the first being transmitted to the middle, and then kindling the end torch ), and were to maintain that the heat in the first exceeded that of the others; that next it showed a variation from it in the direction of the less; and that the third could not be called fire at all, though it burnt and shone just like fire, and did everything that fire does. But if there is really no hindrance to the third torch being fire, though it has been kindled from a previous flame, what is the philosophy of these men, who profanely think that they can slight the dignity of the Holy Spirit because He is named by the Divine lips after the Father and the Son?" "one is the Cause, and another is of the Cause; and again in that which is of the Cause we recognize another distinction. For one is directly from the first Cause, and another by that which is directly from the first Cause; so that the attribute of being Only-begotten abides without doubt in the Son, and the interposition of the Son, while it guards His attribute of being Only-begotten, does not shut out the Spirit from His relation by way of nature to the Father." St. Gregory is talking about the Spirit's eternal origin. If the Holy Spirit received His substance from the Son (not merely that He shares the same substance with the Son), then the Son enjoys some manner of eternal causality, which is exactly what the Latin doctrine holds. In Rev. 22:1 the "procession" means the "sending" of the Spirit and not the hypostatic procession (ad intra). This sending doesn't mean that the Spirit moves from one place to another, but it relates to His particular contribution to the common energy (activity) of the Trinity (ad extra). As saint Gregory of Nyssa says (Letter V): "One is the life that comes to us through faith in the Holy Trinity, which has its source in the God of all, progresses in the Son and accomplishes its work through the Holy Spirit". The sending of the Spirit is this accomplishment. The life here is the "river of water" (the grace of God as St John Chrysostom says) given to the citizens of the New Jerusalem. In your first quotation, Gregory's aim, in an Alexandrian way, is only to show the consubstantiality of the Son and the Holy Spirit (the three torches have the same fire) and not to talk about the hypostatic processions. If that was the case, then we would have to understand that the Son is the proximate cause of the Spirit and the Father only the distant cause, which doesn't help you. A similar case is found in Gregory when he compares the Trinity to Adam (Father), Eve (Holy Spirit) and their son (the Son). Do you think he wants to mean that the Son is begotten from the Father and the Holy Spirit (his "mother") ? "The Father is without principle and unbegotten; He is always represented as Father. After Him, immediately, the only Son is represented as inseparably united with the Father. And through the Son and after the Son, immediately after, to prevent the idea of some useless and non-existent intermediary, is also understood jointly the Holy Spirit, who by the way - BECAUSE HE IS NOT POSTERIOR TO THE SON BY EXISTENCE, SO THAT ONE CAN NEVER IMAGINE THE SON WITHOUT THE SPIRIT, but has Himself His cause in the God of all things, of which also is the unique, resplendent Light after the true Light, - is distinguished from the Father or from the only Son, neither by distance, nor by the difference of nature" (emphasis mine, that is why St Basil says that the Spirit and the Son proceed from the Father "hama", which means "jointly", "simultaneously"). "All the persons belonging to Man do not directly possess their being from the same person, but some from this one and some from that one, so that with respect to the individuals caused there are also many and diverse causes. But with regard to the Holy Trinity, such is not the case, because there is one and the same person, that of the Father, from whom the Son is begotten and the Holy Spirit proceeds" (Ad Graecos). Of course the Father can't share the causality with the Son because, as St Gregory of Nazianzus says, the causal procession is a hypostatic property, and the personal properties are "intangible" (incommunicable). Ad Lucem: "In Rev. 22:1 the "procession" means the "sending" of the Spirit and not the hypostatic procession (ad intra)." If this is the case, can you say that "sending" is one of the valid understandings of the Creed? In other words, if Rome means to say that the Holy Spirit is "sent" by the Father *and the Son* in the Creed, is that heresy? "Sending" is not a valid understanding of the Creed (other context: other meaning). Apart from the canonical problem of the insertion, if Rome means to say that the Holy Spirit is "sent" by the Father *and the Son* in the Creed, of course it's not a heresy. It would simply be a mistake on the original meaning. How do you know "sending" wasn't (included in) the original meaning? Because the Creed wants to define the hypostatic property of the Holy Spirit (as it did with the Son just before). It does so by borrowing directly from Holy Scripture (John 15, 26): " ο παρα του πατρος εκπορευεται ", which refers to the hypostatic procession and not to the sending. Your distinction is not relevant. It alludes to Jean-Michel garrigues' theory (appeared in the 1970s) which, through his friend Christoph Schönborn, has entered the catechism of 1992. This theory, according to which there has been a misunderstanding between Western and Eastern Christianity because of the Greek verb not meaning the same as the Latin verb, has been much criticized, and not only by Orthodox theologians. You can read a vigorous criticism of Garrigues' interpretation by Roman Catholic theologian André de Halleux (specialist of Eastern Christianity) in "Du personalisme en pneumatologie", Revue théologique de Louvain, VI, 1975, p. 21-23. The truth is that while the Latin word "procedere" has indeed a very wide meaning, the Greek Fathers commonly use two different terms: "̕εκπορεύεσθαι" and "προϊέναι", the first one to indicate the procession of the Spirit from the Father (alone), and the other one to mean the manifestation or the sending of the Spirit (to the created world) from the Father through/and the Son. Yet there are many exceptions: Gregory of Nazianzus and Cyril of Alexandria use the second verb in the first case while Maximus the Confessor and John of Damascus use the first verb in the second case. And Cyril explicitely says that "προχεισθαι" and "̕εκπορεύεσθαι" are equivalent. It is really dangerous to argue from purely semantic arguments. On the contrary, the distinction is crucially relevant to the meaning of this biblical passage because it may rule out one or more interpretations. Once you have understood that the "river of water of life" means the grace of the Spirit there is no problem of interpretation anymore.